Send us your tributes to P. K. Page! 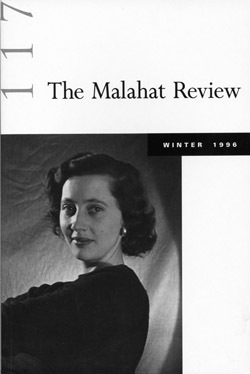 The Malahat Review will post a permanent tribute to P. K. Page on our website to coincide with the first anniversary of her passing on January 14, 2011. We're looking for short pieces (anecdotes, memories, appreciations) that are between 100 and 200 words long, and we may also feature a small selection of poems written in her honour. Photographs are also welcome. Send in your submissions to malahat@uvic.ca by October 22, 2010. The lucky authors of those accepted will be notified the week of November 15th. Successful Page "tributeers" will garner a one-year complimentary subscription for their efforts.